Exadel Tiggr – a web-based tool for creating, sharing and collaborating on application mockups just got a new feature: upload your own image assets. It’s now possible to upload your image and use it in a mockup. You can upload one or more images to be used later. Click the image and from image properties (on the right) click Change… to open the assets windows (from above). Then just select the image you want to use. 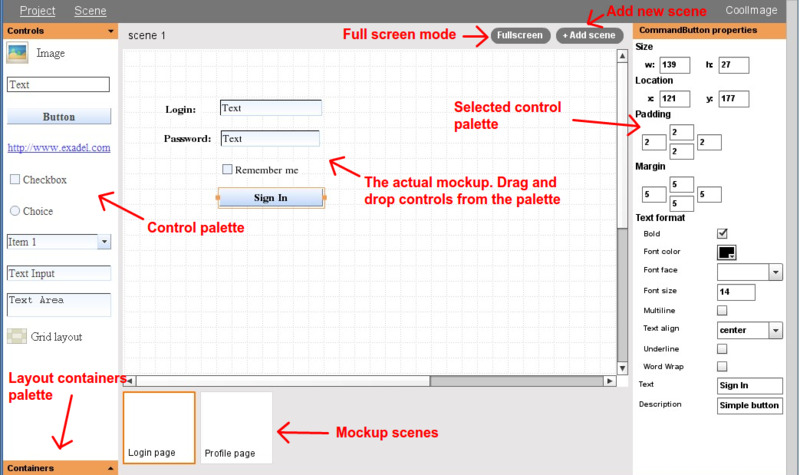 Need to create UI mockups? Drop your pencil and try Exadel Tiggr! If you are working on mockups for your application, then drop your pencil and try Exadel Tiggr. Tiggr is a web-based collaboration platform for creating and sharing mockups online. If you are working with a customer or a remote team, it’s the perfect tool to collaborate on UI design. If you need any help or have questions, head to http://getsatisfaction.com/exadel. More Tiggr features in images.